Today i am going to share with you steps to make above platter…. Now let’s begin the steps to make the platter quickly! Step.1: Take a round glass base..
Step.2: Paste diamonds string on the corner of the glass with the help of the Glue.. I used clear glue here so that there are no marks of the Glue..
Step.3: Then stick the flowers on one corner..with the same glue.. let them dry..
Step.4: To keep the rings you can stick the ring holders too.. 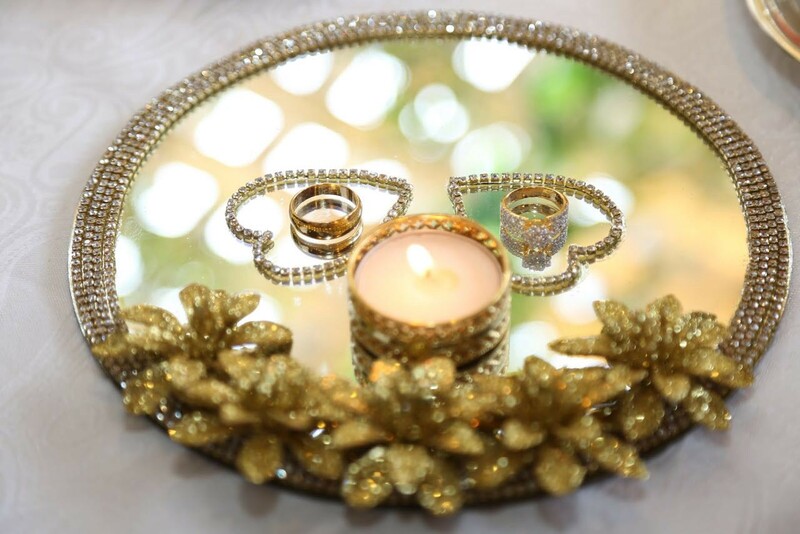 I just made 2 hearts with the same diamond strings to give an elegant look..
Step.5: I placed a small diya in the between to complete the engagement ceremony..
Step.6: Let it dry completely..
Hope you like my tutorial..! !